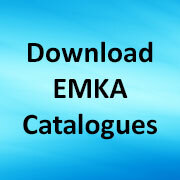 Our recent Commercial Vehicles Catalogue lists many toggle latches in stainless steel especially to suit the demands of use on board trucks, motorhomes, caravans, emergency vehicles etc. with options for zinc plated steel where appropriate. 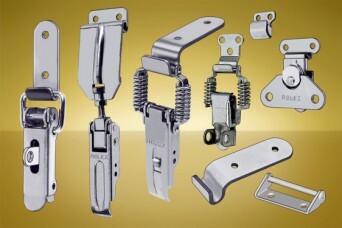 The 6000 program of toggle latches features wires, links and spring arms with padlockable options for enhanced security. Wire loop designs are suited to traditional packaging/luggage/access panel applications, whereas rigid links allow for greater closure forces and spring arms provide compliance for vibration resistance. Adjustable length arm and butterfly handle variants meet specialist needs, as do right angle hooks and catch plates – and the corner function 6006. Share the post "Program 6000 Toggle Latches for Commercial and Specialist Vehicles"